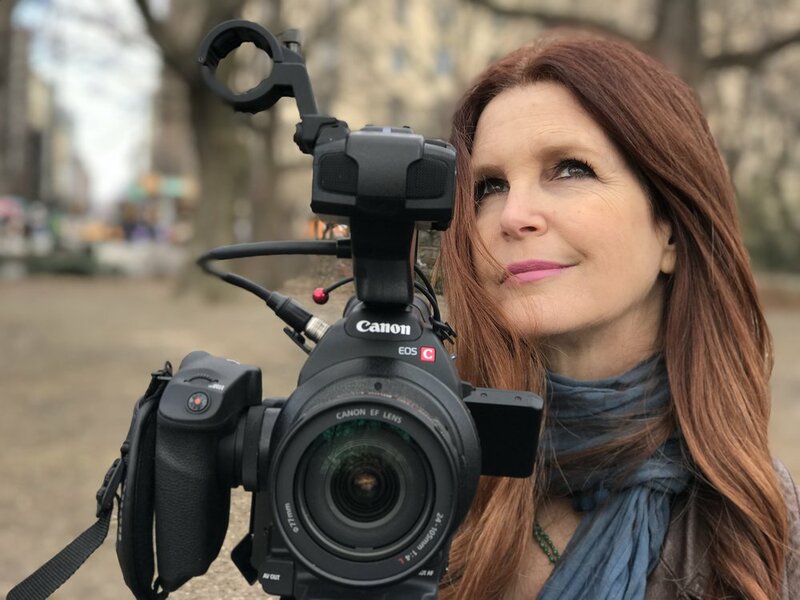 Michelle Esrick is an award-winning filmmaker, poet and social activist. Esrick immerses herself in stories that call to her from a power greater than herself and gives her a clear knowing that this will serve a great many. She has seen first hand that honest stories can inspire, shift perceptions, change laws, transform our culture and even save lives. Esrick’s recent film, CRACKED UP premiered at DOC NYC Film Festival (2018). In CRACKED UP, featuring Saturday Night Live veteran, Darrell Hammond, we witness the impact adverse childhood experiences can have across a lifetime. Courageous and passionate, Esrick’s groundbreaking storytelling is helping us understand childhood trauma, addiction and recovery, in a new light, breaking down barriers of stigma and replacing shame with compassion and hope. Esrick’s social activism went all the way to the Capital with a successful presentation before Congress. Making the point that childhood trauma is a root cause of addiction which resulted in nine provisions for trauma-informed care being added to the SUPPORT for Patients and Communities Act. October 24th, 2018 the President signed this bill in to law. Her willingness to share her research and personal journey with complete vulnerability, depth and humor delivers to survivors, their love ones, the professional community and the new learners, the public-at-large, a sense of hope, love and connection. Esrick directed and produced the multi-award winning film, The Wavy Gravy Movie: Saint Misbehavin’, which premiered on Showtime, PBS and Netflix. The New York Times hailed, Saint Misbehavin’ is an unabashed love letter to the world that defies the cynicism of our age.” (2011). The Wavy Gravy Movie will be re-mastered and released this summer (2019). She directed the music video, LET’S RISE! CNN called LET’S RISE! the anthem for the March For Our Lives Movement airing the segment internationally to 350 million viewers worldwide. Ranking LET’S RISE! among the most important protest songs of the year, CNN featured Esrick and her work in a 2018 year-end television special. Michelle lives in New York City.